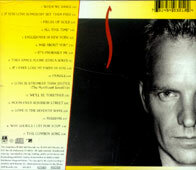 UK 540 307-2 CD included "Nothing'bout", "Seven days", & "Demolition man" instead of "Moon over", "Why should" & "Fragile (portuguese)", made in Germany but for UK export only. France 540 286-2 CD with french sticker, back sleeve states "Fragilidad" instead of "Fragile (portuguese)"
EU 540 286-2 CD Digitally remastered edition, no indication of country of pressing. Japan POCM-1095 larger CD promo, red OBI, with Take me to the sunshine 3" promo CD, lyrics & chronological inserts. Japan POCM-1095 larger CD red OBI, with Take me to the sunshine 3" CD, lyrics & chronological inserts. 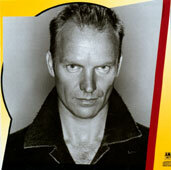 Japan POCM-1095 larger CD same but with different OBI, full red OBI without Sting's face. 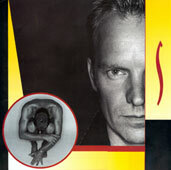 UK 145 cm 67 cm life size display with color picture of Sting (wich is on the back of the sleeve of the "Summoner's travels" video), with "Sting" and title in yellown at down. 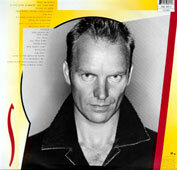 FRA 180 cm 60 cm picture of Sting face, Sting writing at the top, some track titles writing in yellow and a 45x45 cm picture of the sleeve wich comes in relief on the right side. 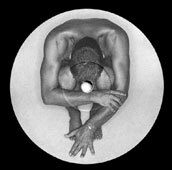 Firstly issued in 1994, and as it is the most commercial release as all the "best of", there have been a lot of reissues since then. 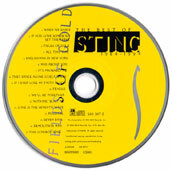 There is a lot of track variations depending on the country of releases, as all songs haven't had the same success. 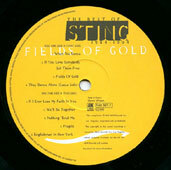 The LP releases (only issued in UK and Greece) have an adapted tracks order to fit all sides (check tracks listing info). 15- Why should I cry for you ? The version of It's probably me is the 1992 version with Eric Clapton, and is the 5'01 edited version. The version of We'll be together is the Previously unreleased version from the single. The version of Why should I cry for you? 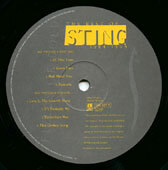 is the radio mix only issued on promo singles. 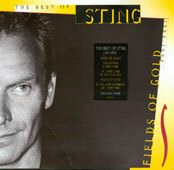 10- Why should I cry for you?